This unusual and very characterful subject is a Sicilian private guard. Although civilian, the figure could be put into a military setting as the Campieri were amongst those of the mafioso who assisted the allied armies during the invasion of Sicily in 1943. The figure would also be a good candidate for a Maquis or Spanish Civil War guerrilla fighter, either on its own or as part of a vignette. The kit comes well packaged in a stout box having a picture of a completed model by Bill Horan on the opening flap. Note that the picture contains two images of the one figure contained in the box. There are further pictures of his superbly painted figure on Pegaso’s website “www.pegasomodels.com”. Within the box are five castings for the figure and six for the base. A painting guide and background notes are printed on a small sheet of paper, in Italian on one side and English on the reverse. The surface finish of the castings is fairly good, although a few mould lines were visible along with some flash in places. I thought some of the detail could have been sharper, although the Sicilian’s face was nicely done and this along with the stomach paunch capture the character of the figure delightfully. The rear half of the jacket is a separate piece which has to be glued into place. The left arm is also a separate piece and includes a cigarette. The shotgun carried over the right shoulder may look a little delicate as a weapon of war, but is right for the job of keeping wolves at bay and peasants in line (and may explain Sonny’s line in The Godfather: “In Sicily, women are more dangerous than shotguns”). I would say that if you intend to put the figure into a military setting then he would look more convincing armed with a heavier weapon. The base casting includes some nice stonework effect and there are four fico d’India “Prickly Pear” castings which locate behind the figure. Each casting was examined closely and any mould lines filed or scraped away. Those on the neck and ears and also flash on the fingers around the cigarette need to be removed with care so you don’t lose the detail. There was a small sink mark on the left eye socket and this was filled using Magic-Sculp. This was about the only flaw in all of the castings. Some of the detail was sharpened up with a dental tool and a rotary burr held in a pin chuck used as a scraper. After cutting and scraping, the area was lightly cleaned up with a small glass fibre scratch pen. The rear part of the jacket did not fit well to the front half, and really should have been better for a kit of this class. The mating surfaces were filed and scraped to get the best fit before bonding together with epoxy resin. Remaining gaps were filled with Magic-Sculp after the epoxy had set. Having made this gripe about the model, let me also mention that I would like to have seen a greater amount of relief in the casting behind the flaps of the jacket, jacket pocket openings and the waistcoat. Holes were drilled in those pockets of the cartridge belt which were empty of cartridges. It was tricky to get the holes placed centrally and to avoid breaking away the edge left around the cartridge pocket, so you have to do it carefully. A scriber point was pressed lightly into the centre of each position and then the holes were opened out using increasing sizes of drill until the required diameter was reached. It is not necessary for the holes to be any more than 1 mm deep to get the effect you want. All the remaining parts were painted separately as it is easier to reach everywhere with the paint brush. It does make assembly more difficult, though, as you do not want to fill and paint badly fitting joints on an almost finished model. So check the fit between parts when the castings are being cleaned up and remove material as needed to get a good fit. It was difficult to see where the material needed to be removed for the neck to body joint, and so a little oil paint was used as “engineer’s blue” applied to one half of the joint and transferred to the high points of the other half when the two parts were brought together. A number of dry runs were needed to get a good fit and strong joint between the two parts. The joint between the left arm and body had a number of gaps at the shoulder which required filling. A sausage of Magic-Sculp was rolled out and then placed around the socket in the body. This was then covered with a square of “Clingfilm”, the arm pressed into place and surplus Magic-Sculp trimmed away. You can choose to blend the filler to the body at this stage or wait until it has hardened off and then file it to shape. Carefully remove the arm from the socket for painting and peel off the Cling film. You should then have a gap-free joint between the parts. The casting for the base was sanded flat with 100 grit wet and dry paper placed onto a board. The outer facing “wall” also benefited from cleaning up with coarse through to fine grades of abrasive paper. The base was dry fitted to the feet and also the various pieces of “Prickly Pear”. I found the locating tabs of the cacti and the corresponding slots and holes in the base needed some work to get a good fit, but even so I had problems and could not get the castings into the same arrangement as shown in the photograph on the lid of the box. Cactus without needles? Needles were added to the Prickly Pear using fine multistrand wire. Suitably fine cable was cut into a half a dozen pieces 50mm long and the insulation stripped from both ends to a distance of 8mm. The conductors were lightly twisted to hold them together and the ends dipped into some cyanoacrylic adhesive: not thin adhesive as you only want the very end of the wires to be glued. Leave to one side for the glue to set before cutting off the ends to a distance of 10mm (so there is some insulation holding the other end of the strands in place). Superglue the small pieces of wire into holes drilled into the cactus leaves. After the cactus is painted and attached to the base, cut the wire to a distance of no more than 6mm and then carefully tease out each strand of wire to form the cactus needles. The needles can now be painted. Having cleaned up the castings and checked the fit of parts, the next job was to prepare them for painting. Each item was attached to a holder for this as I always try to avoid touching the surfaces of the model after they have been washed. The upper body is heavy even though it is hollow. I have found problems in the past when a heavy casting is handled for painting that it tends to overstrain the glued joints and work loose. So holes were drilled up into the legs of the Campiere and stout metal reinforcing pins were pressed and superglued into place. The pins protrude by about 30mm and slot into a hardwood block holder: when the time came to attach the model to its’ wooden base, these pins were also used to hold the figure in place. The holders used for the smaller and lighter items were short lengths of doweling. The head, left arm and shotgun were attached to these using a metal pin pressed into predrilled holes. The holder for the base casting was simplest of all: just a wooden block and a lump or two of Blu-Tack. Owing to the odd shapes and sizes of the mounting tabs on the Prickly Pear, holes were made in a holder made from a strip of wood and the castings pushed into these and secured with PVA glue. 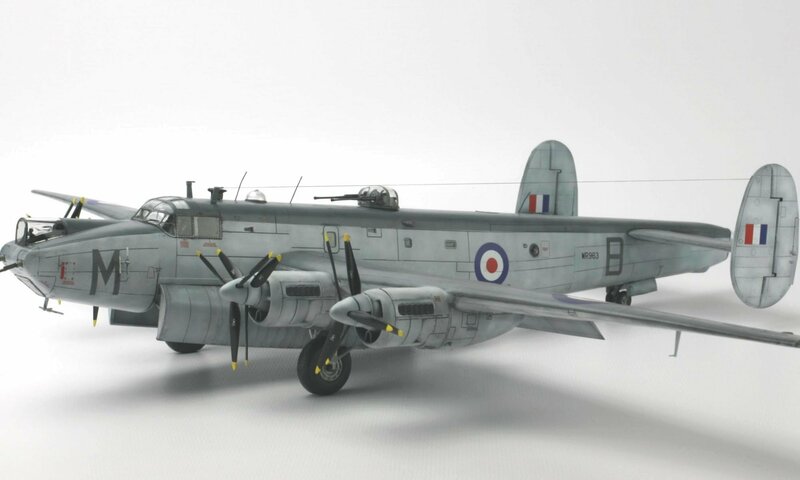 When the time came to complete the assembly of the model, it was easy enough to break the parts from the holder and peel away residues of the dried PVA glue to leave bare metal for the epoxy adhesive to bond to. All the parts were given a thorough scrub with washing-up water and an old toothbrush, rinsed, dried and then fitted to their holders. Jacket, trousers, waistcoat & cap Grey 126 & 182 (see text). Humbrol Grey 67 + Ivory Black (airbrushed). Paynes Grey + Burnt Umber. Paynes Grey + Van Dyke Brown (Rowney) + Jaune Brillant. Shirt White. Naples Yellow + Violet + Flake White. Base + Raw Umber Base + Titanium White. Boots Natural Wood 110. Burnt Sienna + Burnt Umber Ivory Black + Liquin(see text). Leather CNR125 Yellow Ochre. Burnt Sienna Burnt Umber Naples Yellow + Violet + Flake White. * Paints are generally Winsor Newton oils on top of Humbrol enamel undercoat unless mentioned otherwise….. Surfaces that were to be glued later on were protected from paint by Blu-Tack. All items were then given a spray of Halford’s white primer and left to dry for a day or two. The flesh areas were painted first and then masked off. Masking was a strip of Clingfilm wrapped around the head and hand and held in place with a piece of Tamiya tape. Neat edges were then made using Tamiya tape, Blu-Tack and Maskol. The head casting has been prepared and attached to a holder for painting. A piece of Blu-Tack has been affixed to the bottom of the neck to mask the joint from paint. Halford’s car primer has been sprayed on and left to dry. The cap has been masked off with Tamiya tape and the flesh undercoat applied. A flesh mix was airbrushed over a pale flesh acrylic undercoat. When mixing the flesh colour, start by adding the blue to orange until you achieve a chocolate colour. Then add the burnt sienna and other tints to achieve the deep Mediterranean tan. A darker shade of the base mix was directed from beneath the head to provide general shading. Highlights and deeper shade were applied by brush. Once dried, the face was masked by Clingfilm and the cap sprayed dark grey, again with most of the dark colour directed from beneath the head to give a shade effect. The eyes and hair were painted in. A few grey strands were added to the hair and moustache. Once the flesh areas were completed, the next stage was the clothing. The painting guide gives the cap as being black, jacket dark fabric, waistcoat grey and trousers light brown piped dark brown. Being as the figure is wearing normal civilian clothing, you have some freedom of choice as to fabrics and colours. It may well be that the trousers were heavy corduroy rather than brown striped. I was not sure I was up to the challenge of painting a convincing pair of striped trousers. I had a fear that my subject would look more at home on a golf course and be ridiculed by the local peasants rather than they being in dread of him! So I decided that my Sicilian would be dressed in black. Those areas I did not want to be painted black were masked off and then the figure was airbrushed with a grey enamel undercoat. Upward facing areas were lightly sprayed medium grey 126 so that the white primer underneath helped to produce the highlights. The depth of colour was built up using black grey 182 for the sides and made heavier still for the areas in shade. I examined the spray job to decide whether it was ready for finishing by hand brush. I found two problems. First of all the shade was not deep enough and required a further airbrushing of very dark grey mixed from Tank Grey H67 plus ivory black oil paint. Adding artist’s oil paint to enamels works very well, but do take extra precautions (beyond avoiding breathing in the solvent vapour) when airbrushing oil paints as some pigments are toxic. The second problem I had was spatter from the airbrush. Specks of dark grey paint were visible on the lighter colour used for the highlight areas. This problem was overcome by hand painting these areas using a highlight colour mix of flesh added to extremely dark blue oil paint. I also went over other areas of the black clothing with a very dark neutral grey mixed from Paynes Grey and burnt umber. Van Dyke brown or ivory black were added to obtain a deeper shade. The idea was to add paint to the airbrushed coat only where it was needed to reinforce highlights and shading of folds in the fabric. The boots were undershaded in dark brown and then given a couple of glazes of ivory black with Liquin to obtain the look of black leather.The boots and the clothing were then given a light spray of matt varnish to reduce the sheen produced by the Paynes Grey oil paint and the Liquin medium. …these need to be finished in a fairly vivid green colour and are very suggestive of the Sicilian countryside. The head and arm were bonded in place with epoxy resin. The shotgun was superglued in place. The “Prickly Pears” were bonded to the base using a generous quantity of epoxy resin: I did not want these items to come loose later! Balls of Blu-Tack held the parts in position whilst the adhesive set. The needles of the cactus were now teased to shape with tweezers and painted. The next job was to epoxy the figure to the base. Do make sure that the feet are firmly planted on the ground, not only does it look better but the joint will be stronger as well. After all the above had set solid, I epoxied the model to a very nice turned olive wood base specially made by Oakwood Studios. This was marked out and drilled in advance to accept the wire reinforcement. The “grass” was made from hemp rope. A strand was unwound and cut to a length of 10 to 20mm. Fibres from this were held in a pair of tweezers and dipped into PVA glue with a little acrylic gel medium added to make it really thick & stiff so the glue held the grass in place when positioned on the base. Continue to add further tufts of grass and gently shape them using tweezers. I sanded some pastel colour to ground scatter material to get a colour which blended with the painted base. PVA glue was applied here and there to the base, but most especially over the top of any epoxy adhesive that was visible. The ground scatter was then tipped on and excess gently blown off. More of the powder mix was scrubbed onto the boots to blend them to the base. After all the groundwork was firmly in place, a wash of burnt umber paint was added followed by some dry brushing of the highpoints. The kit also includes an amphora which looks to be standing rather precariously on the ground, so I would suggest you would be better off either “digging it in” to the ground or replace it with a bottle (even a Chianti style bottle in a woven basket)? Final touches were carried out and an engraved label attached to the base. Highlights of gold and silver printers ink were given a protective coating of Johnson’s Klear as I notice that the lustre has begun to fade on some older models. All in all, this is a very pleasant model of an unusual subject. This model offered me some new challenges: painting black clothing and also large bits of vegetation. I need convincing that this figure should be considered in an “Elite” series, though, and I think the £50 price tag is too high. However, such is the attraction of this subject that you may find it an offer you can’t refuse! Many thanks to Pegaso for letting us have the model to review. Pegaso models are available through Historex. Many thanks to Richard Wharton at Oakwood Studios, 396 Ring Road Beeston Park, Middleton, Leeds, LS10 4NX (01132 719595) and to Crown Hill Trophies, 48 New Road, Fair Oak, Hampshire SO50 8EN (02380 600216) for engraving the brass label. There are few illustrations I could find by way of reference material, but lots of text about the Sicilian mafia as I’m sure you can imagine. The photo of the Prickly Pear was found on www.fogato.com/modelli/mod_piante/saguaro_5.html. There are some rather flowery historical notes supplied with the model, but they make no mention of any wartime activities which could form the germ of an idea for a military setting. After digging around for information in books, the internet and talking with others, I thought a few words regarding the background of our figure and possible military roles he may have would not go amiss. Also, as the figure is clearly Sicilian “Mafia” I was curious to find out more about him. Starting with the historical origins ….. Towards the end of the 18th C, many nobles in Sicily resided in the major Sicilian cities rather than on their rural estates. They contracted some of the more entrepreneurial peasants to manage their estates for them. The “gabella” contracts rented out the estate to managers (gabellotti) for a share in the profits from the harvests. The peasant workers who already had a hard time under the land owner, now found life very much harder still as the gabelloto asserted their power with brute force and resolved any complaint with habitual violence. The gabellotti became the new middle class in Sicily and were resented and disparaged by every social class but their own as they gained a reputation for defrauding the land owners and exploiting the peasant workers. Around 1830, as the task of settling disputes and keeping control becomes more onerous, the gabellotti hire their like-minded friends the campiere to strengthen control and broaden their influence. The campiere were young men, good with guns and horses, who oversaw the peasant’s work and, by violence, created ‘respect’ through fear from all who come within their reach. In the absence of any enforcement by the state, the gabellotti and their associates provide social control for the rural areas. Each village had its’ own cosca which comprised a number of the local gabellotti and their cohorts. These cosca are collectively referred to as mafia. Often a lead gabellotto was selected as capo (chief). During the rise of fascist power in Italy, Mussolini’s “Iron Prefect” Cesare Mori imprisoned many capi and this contributed to one of the reasons why the mafia were so willing to fight the fascists. The US Office of Strategic Services (OSS) and Office of Naval Intelligence (ONI) cultivate relations with the leaders of the Italian Mafia to, amongst other things, gain intelligence on Sicily prior to the allied invasions. Little information has been disclosed to the public, but there is much speculation about the role played by the mafia in the invasion. As General Patton’s Third Division moved through the hills towards Palermo, it is said that the mafia protected the roads from snipers, arranged enthusiastic welcomes for the advancing troops, and provided guides through the confusing mountain terrain. This alliance developed further when the American occupying forces appointed loyal Mafiosi to positions of public office so they could control public order. This released troops from garrison duties on the island so they could be used in the offensive through southern Italy.